By The Alan Winner Academy C.I.C. The Alan Winner Academy C.I.C. For years the changing rooms have been a blight on this fantastic park, with your help we will restore it to look fabulous and bring energy into the area. For 27 years The Academy was based at Acton Swimming Baths until it was redeveloped in 2012. We found a temporary training room in Hanwell and have been looking to return to Chiswick/Acton. Redevelop the derelict changing room building and turn it into a vibrant sports academy. The run down state of the changing rooms gives the impression that the area is unsafe. The Academy will bring life back into this building, transforming it into an inviting and safe place. Both children and adults will be able to take classes at community rates. The community will have the best teaching available on their doorstep. Many different classes are tailored for all the different ages and abilities, from 4 up to 104 years of age. The Academy has had great success in helping people with learning difficulties, physical and psychological problems. 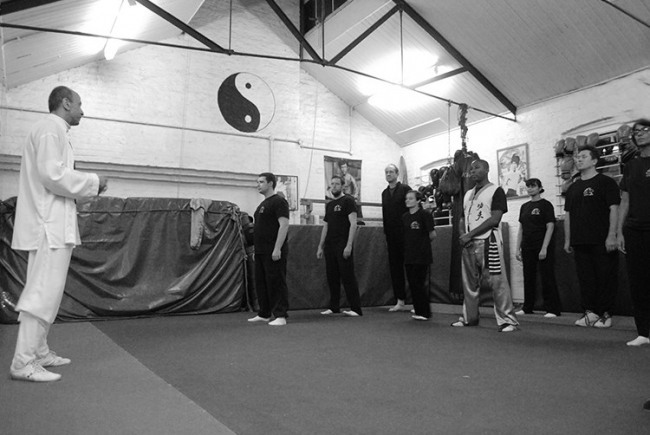 The Alan Winner Academy has been offering classes in Tai Chi, Qigong and the discipline of Chinese Martial Arts to the local commity of Ealing, Acton and Chiswick for the past 28 years. At present The Academy is open 5 days a week from 4pm-10pm and runs classes for age groups: Kung Fu classes for children from 4 years old, Wushu training for teenagers, Wing Chun, Shaolin kickboxing and Tai Chi classes for adults, our oldest student is over 90 years old! Students with learning difficulties, health or psychological problems and physical challenges benefit greatly from training at The Academy. Also students who aspire to become professional athletes can receive specialised training to reach their full potential. Project Delivery Manager: The Alan Winner Academy C.I.C. The Project Delivery Manager takes legal responsibility for receiving and spending the funds raised and ensuring the project is delivered.